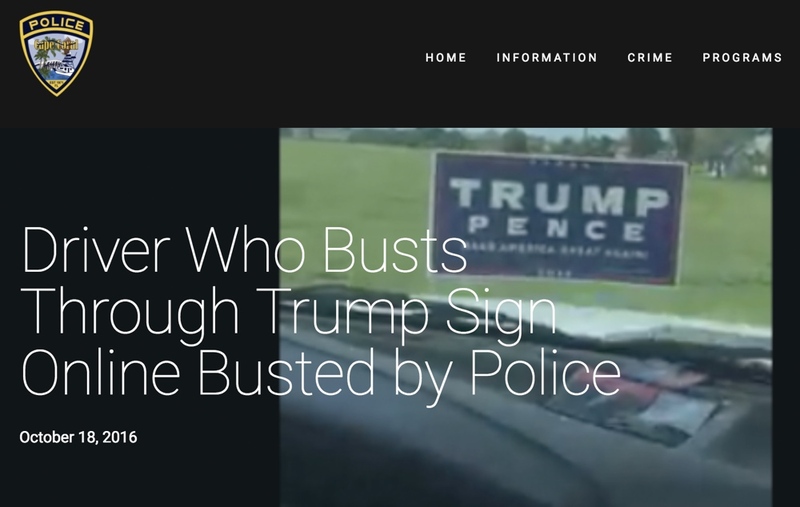 Police have arrested a driver who posted video to Facebook that appears to show him intentionally running over a Donald Trump campaign sign along Del Prado Boulevard on Sunday. 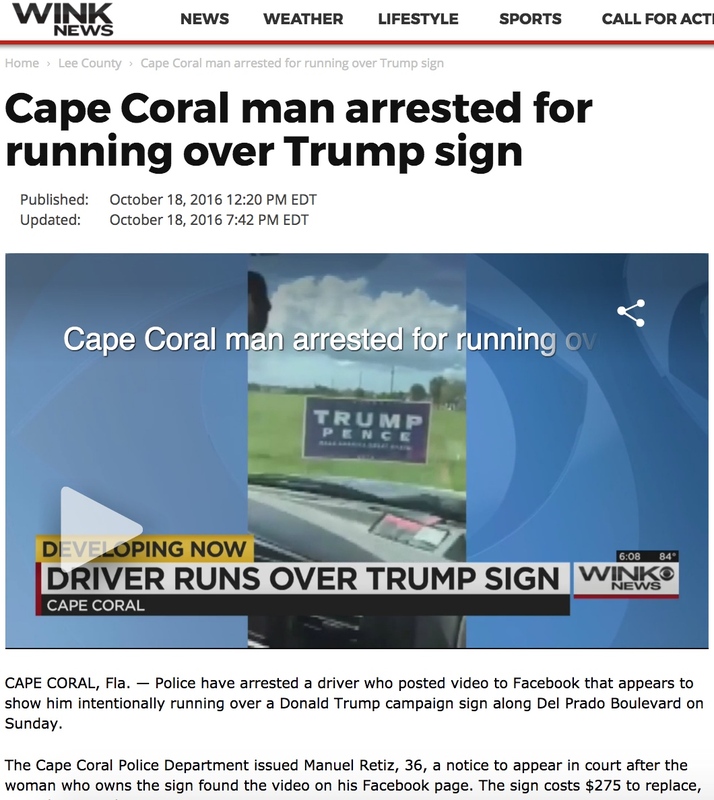 The Cape Coral Police Department issued Manuel Retiz, 36, a notice to appear in court after the woman who owns the sign found the video on his Facebook page. The sign costs $275 to replace, according to police. ARRESTED: Manuel A. Retiz, W/M, DOB: 2-29-1980, of 1321 NE 19th Street, Cape Coral FL.